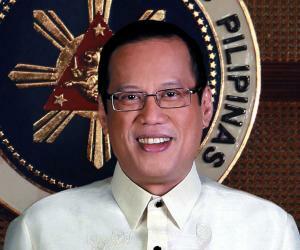 Benigno Simeon Cojuangco Aquino III is the 15th President of the Philippines. 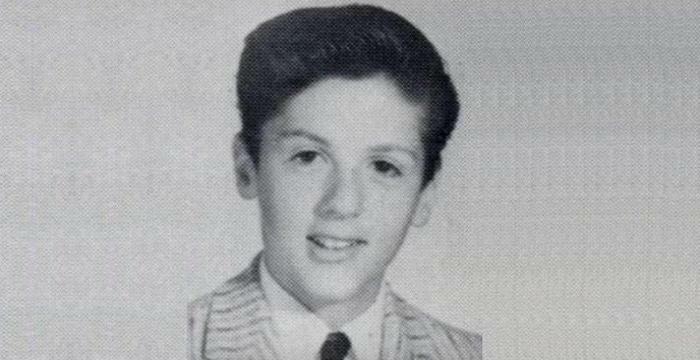 This biography profiles his childhood, life, political career, achievements and timeline. 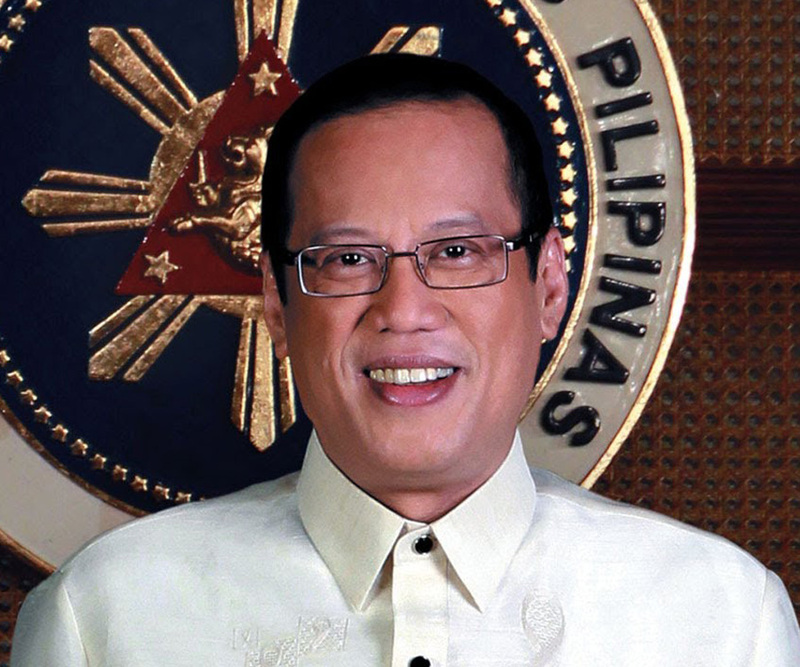 Benigno Simeon Cojuangco Aquino III is the 15th and current President of the Philippines. He is scion of a famous and influential political family of four generations. 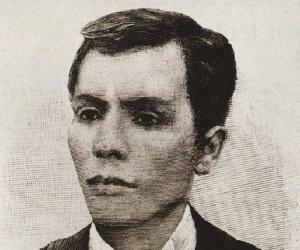 Servillano "Mianong" Aquino, his great-grandfather was a delegate of the ‘Malolos Congress’. Benigno Aquino, Sr, his grandfather was the speaker of the ‘House of Representatives’ of the Philippines while his father Benigno "Ninoy" Aquino, Jr. was a Senator. 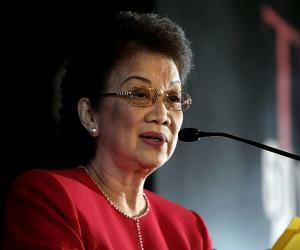 His mother Corazon Aquino remained the 11th President of the country from 1986 to 1992. He resided in the US for a while with his family when they took self-exile but after his father’s assassination he went back to Philippines and worked in private organisations. His first political representation was from the 2nd district of Tarlac province in 1998 as an elected member of the ‘House of Representatives’. He represented the House for the next two terms and was barred in 2007 because of term restrictions. 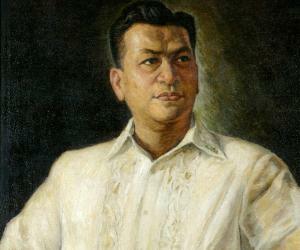 He served as a Senator of the 14th Congress. He remained the Secretary General and Vice President of the ‘Liberal Party’ for Luzon and at present serves as Chairman of the party. 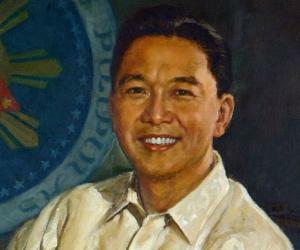 He succeeded Gloria Macapagal-Arroyo as the 15th President of the country. He was born on February 8, 1960, in Sampaloc, Manila, in the family of Benigno S. Aquino, Jr. and Corazon Cojuangco as their only son among five children. At that time his father was the Vice Governor of the province of Tarlac and later remained a Senator from 1967 to 1972. His mother became the 11th President of the country from 1986 to 1992. He studied in Quezon City at the ‘Ateneo de Manila University’ starting from primary education till college studies and earned a bachelor degree in Economics in 1981. He is an ex-student of Gloria Macapagal-Arroyo when the later was a professor of economics at the university. His father was arrested on charges of subversion in September 1972 as he had emerged as a noted leader of opposition of the government of President Ferdinand Marcos. 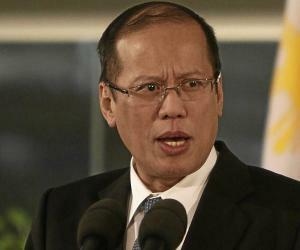 Benigno S. Aquino, Jr. faced a military tribunal in August 1973 at the ‘Fort Bonifacio’. His father was finally allowed to move to the US for medical treatment after surviving several bouts of cardiac attacks. From then on his family stayed in the US in self-exile and he joined them after completing graduation. His father was assassinated on August 21, 1983, shortly after which the family came back to Philippines. After his return, he worked in several organisations including ‘Philippine Business for Social Progress’, ‘Mondragon Industries Philippines, Inc.’ and ‘Nike Philippines, Inc.’. From 1986-92 he remained Vice President of his uncle, Antolin Oreta Jr’s company, ‘Intra-Strata Assurance Corporation’. During tenure of his mother’s presidency, he encountered a brutal attack on August 28, 1987, when a treacherous military coup unsuccessfully tried to take over the ‘Malacañang Palace’. He was severely injured by five bullets while three of his four security personnel died. One such bullet is still seated in his neck. From 1993 to 1996, he served the ‘Central Azucarera de Tarlac’ in the position of an executive assistant and thereafter as field service manager till 1998. In 1998 he was elected a member of the ‘House of Representatives’ from the 2nd district of Tarlac province, a stint he continued for the next two terms also. From November 8, 2004 he served the House as the Deputy Speaker. However he gave up the position in February 21, 2006 to join the ‘Liberal Party’ at a time when the Hello Garci scandal alleging President Gloria Macapagal-Arroyo of rigging the 2004 national election in Garci’s favour escalated. The ‘Liberal Party’ demanded resignation of the President. He chaired the board of ‘Central Luzon Congressional Caucus’. He was unable to run for the 2007 election of the House because of term restrictions. He became a Senator after being elected during the midterm election held on May 15 that year. He represented ‘Genuine Opposition’, a coalition of several parties including the ‘Liberal Party’. The coalition sought to restrain President Arroyo’s attempts of altering the 1986 Philippine Constitution. He was instrumental in filing several developmental and reformatory Senate bills including the ‘Budget Impoundment and Control Act’ (SB 3121), ‘Preservation of Public Infrastructures bill’ (SB 2035) and the ‘Philippine National Police’ reform bill. Although the ‘Liberal Party’ choose Mar Roxas as their presidential candidate, an upsurge of support for Aquino to run for President of the Philippines (famous as the ‘Noynoy Phenomenon’), followed after the death of his mother. The ‘Noynoy Aquino for President Movement’ was formed by several lawyers and activists including Edgardo "Eddie" Roces on August 27, 2009. A nationwide campaign was conducted by the group that garnered millions of signatures in favour of his presidency. Finally on September 9 he gave his nod for presidential candidature. Many fabricated psychiatric reports conveying his mental health did the rounds during his election campaign, but Aquino rebuffed them citing malicious intent and efforts of the rivals. The election was held on May 10, 2010 and on June 9, 2010, the ‘Congress of the Philippines’ declared him as the elected President of the Philippines and Jejomar Binay as the Vice President. On June 29, he announced the names of his cabinet members and made himself the ‘Secretary of the Interior and Local Government’, the position he served from June 30 to July 9. He refused to take oath of office under the Chief Justice (traditional practice) as he disapproved the midnight induction of Renato Corona as Chief Justice by outgoing President Arroyo. Following his request, he was sworn in as the15th President of the country on June 30, 2010 by the ‘Associate Justice of the Supreme Court of the Philippines’, Conchita Carpio-Morales. He is the first president to choose the ‘Bahay Pangarap’ (meaning House of Dreams) situated in the ‘Malacañang Park’ as his presidential residence instead of the ‘Malacañang Palace’ which is the official residence of the President. The no ‘wang-wang’ policy created by him to check use of blaring sirens was enforced by the ‘Metropolitan Manila Development Authority’ who seized any such device from public and private vehicles that were unauthorised to use them. Despite his authority, he chose not to use it himself and also continued to use his white Toyota Land Cruiser 200 instead of the official presidential vehicle, a black Mercedes Benz S-Guard limousine. He set up a truth commission headed by Chief Justice Hilario Davide, Jr. to probe on allegations of corruption against his preceding President Gloria Macapagal-Arroyo. In his first ‘State of the Nation Address’ (SONA) held at Batasang Pambansa, in Quezon City on July 26, 2010, he declared his objective of adopting K-12 education cycle in the country’s education system. In order to seek feedback, opinion and grievances from the general public, he created his own official presidential website on August 16, 2010. He executed several orders during his presidential term including creating the ‘Truth Commission’, abatement of midnight appointments and revocation of ‘Executive Order No. 883’executed during the tenure of President Arroyo. Despite fear of facing excommunication from the Catholic Church, he backed the ‘Reproductive Health Bill’. He also signed order to follow October 2, 2010 as the ‘Nationwide Philhealth Registration Day’. The Manila crisis occurred on August 23, 2010 when Rolando Mendoza, a discontented former police officer hijacked a tourist bus in Rizal Park, Manila. A gun battle followed that resulted in killing of Rolando and eight hostages while injuring others. Later ‘Proclamation No. 23’ was signed by Aquino instructing all Philippine institutions and embassies to observe August 25, 2010 as a national day of mourning. In September 2010 he visited the US with his delegation. There a contract was signed with ‘Millennium Challenge Corporation’ that fetched his administration a fund of US$434-million for undertaking various programs including infrastructure development, generation of revenue and poverty control. He spoke at the 65th ‘United Nations General Assembly’ on September 24, held at New York City. At the time of the ‘2nd Association of Southeast Asian Nations’ held in New York City he and the US President Barack Obama had a one to one talk. In October 2010 he visited Vietnam and signed four memorandum of agreement along with President Nguyễn Minh Triết of Vietnam and delivered his statements at different ASEAN Summits held at Vietnam. He made his second ‘State of the Nation Address’ (SONA) at Batasang Pambansa, in Quezon City on July 25, 2011. Benigno Aquino III is a bachelor but has been in relationships. Since 2015 he is in a relationship with Pia Wurtzbach, a Filipino-German model. He takes active interest in billiards and shooting but more recently he has shown liking for video games. He is an enthusiast of history and also likes spending time listening to music. In 2013 he was included in the list of ‘100 Most Influential People in the World’ by ‘TIME’.